For all the animal lovers out there, here is something you would definitely want to purchase and keep in your house. Not only will this Read More..product confirm your love for animals and art but also help to keep different keys placed correctly. 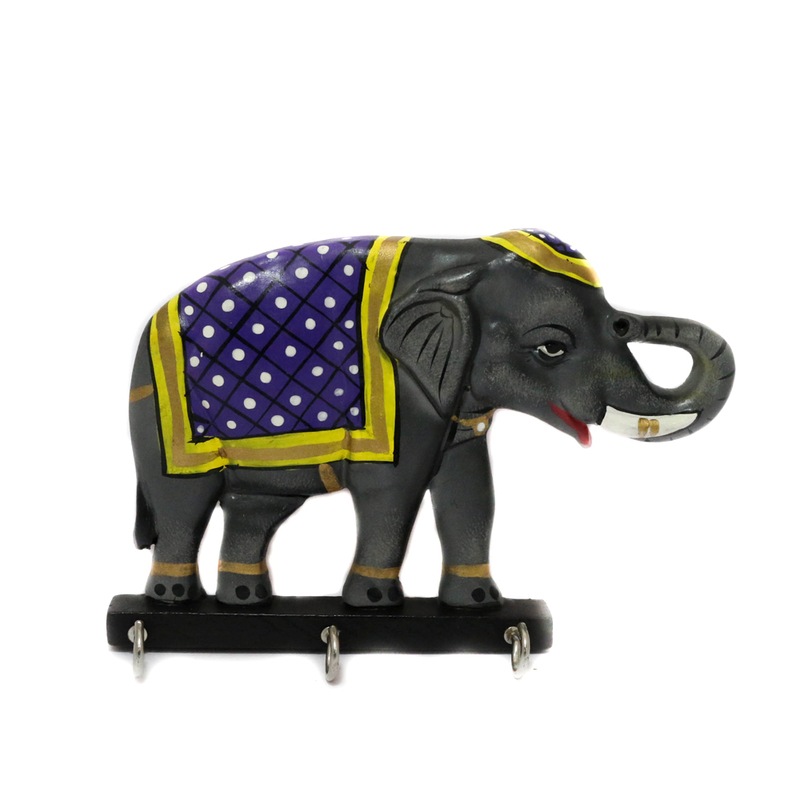 This wooden elephant has a dark grey tone with royal designs on it. Show Less..